Did you know that over 12% of Canadians have a Criminal Record – over 7% hide this information on an employment application. Think about what this means. As an example, an estimated 10% of the workforce uses illicit drugs–but who’s going to list that on their resume? In a perfect world, we’d all be able to trust each other with no questions asked. Sadly, though, our world isn’t perfect. That’s why it’s essential to run criminal background checks on each and every person you employ and those you hire. Not convinced? 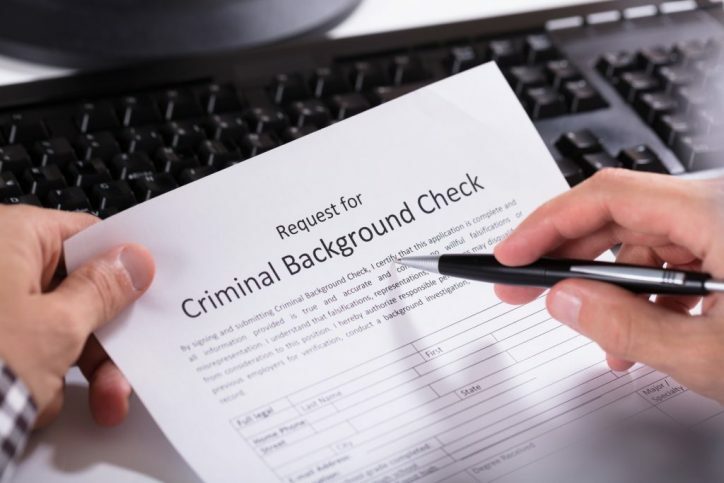 Here are five compelling reasons to require a criminal record check for employment. As a responsible employer, you care deeply about the safety of everyone who works for you. What if you were to unknowingly hire someone with a history of violent crime? What if that person were to assault you or one of their co-workers? You don’t want that on your conscience–so don’t take that risk. Order an employee background check so you know your new hire isn’t a potential threat. Did you know you can be sued for negligent hiring if you fail to perform a criminal record check for employment? Suppose you hire someone with a criminal history, but you don’t know about it because you didn’t check. If that person commits a crime against your employees or steals company property, you could be in serious legal trouble. How so? The injured or affected party can make a claim against your company, stating that you should have known the individual’s background before hiring them. Do you know how much it costs to hire a salaried employee? Experts estimate the costs of recruitment and training to be anywhere from 6-9 months’ worth of that person’s salary! Imagine spending all that time and money to bring someone onboard–only to find out they have a criminal record. Save yourself the hassle and do your homework before you hire them. In today’s world, you can’t be too careful. Be sure to protect yourself, your employees, and your company by running criminal background checks on everyone you hire. There’s no price you can put on PEACE OF MIND! For more helpful legal advice, visit our blog today. You may also contact us with any questions or concerns.